FeeFighters is a comparison shopping website for credit card processing, it offers a quick and simple way for businesses to save significant amounts on their credit card processing fees. The company has saved customers more than $75 million in processing fees since launch, and raised $1.6 million in early 2011. The company has also recently launched Samurai, a gateway for online merchants to accept payments. Today we have Stella Fayman from FeeFighters on The Startup Project. Many startups employ specific strategies or techniques when launching, what approach did you take with FeeFighters? If you could do it all over again, is there anything you would change? We officially launched at Finovate conference in the Spring of 2009. Launching at an event like we did gave us opportunities to generate buzz and get our name out to many people all at once. This is a good approach is your product fits into a specific niche like ours. Differentiation is critical to the success of a product in any market, how does FeeFighters stand out from it’s competitors? Where did the idea behind FeeFighters come from? FeeFighters is the solution to a very big problem in credit card processing. Sean, the CEO, had the idea when he was shopping for a credit card processor for a previous business. He did a ton of research, talked to many salespeople, and still ended up choosing a processor that overcharged his business by $40,000. He thought that if he had such a problem getting a good deal on processing, other business owners would feel the same way. He began asking around and blogging about the topic of credit card processing and found a captive audience. There needed to be an easy to use solution for business owners that would help them compare rates as well as ensure ethical practices by processors: FeeFighters. The company really came out of providing the best service to empower business owners in an industry where they are used to getting ripped off. Our business is validated daily by frustrated business owners who wish they had found it earlier. Samurai, our newest product, came out of a similar situation. Our online customers were complaining about gateways..they were archaic, hard to integrate, and lacked critical features. We built a gateway, Samurai, that solves all of these problems from the ground up. Share the story behind the building of FeeFighters, what challenges did you face? The challenges come from misperceptions about credit card processing. It’s a very deceptive industry and because we were telling the truth about the rates processors offered on FeeFighters, many business owners thought they were higher than what they were being offered by salespeople. The truth is that processors usually quote much lower rates with layers of fine print padding on other fees that make them exponentially higher than what’s on the FeeFighters marketplace. The challenge is educating the customer to recognize deceptive practices and use our marketplace instead of going to other vendors. It’s basically a trust issue that many marketplace business face. 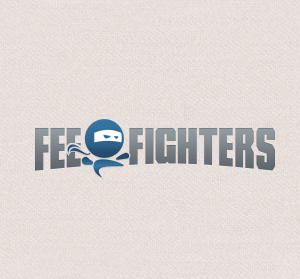 What marketing strategies does FeeFighters utilise? What are your thoughts on the use of advertising for a software product? Much of our marketing is inbound. By providing useful information on our blog as well as ebooks, infographics, and video, we can show potential customers our expertise and draw them to use our service. We like to communicate with business owners via social media, although it is a nascent space for B2B businesses like ours. Advertising is tricky because our industry is crowded with credit card processing ads that have high CPCs with low intent users. We’ve found it more effectively to optimize our site and produce useful content. PR is also a great driver of traffic to the site…by positioning our CEO as an expert in the field, we’re able to get a lot of press from comments he gives to media. Finally, what advice can you offer for aspiring entrepreneurs and founders? 1) Identify a real problem, see if others agree that there is a problem, and build a solution. The best businesses are not novelty software, but actually solve real problems. 2) Build, launch and iterate quickly. We are always improving our product, and getting it out as soon as it was ready gave us the opportunity to iterate in real time based on customer feedback.